CBSE Class 10 students will write their Social Science exam tomorrow, 23 March. Besides practicing with study material students must have the right plan to write their exam in perfect manner that will help to fetch maximum marks. Here, we are providing the scanned copy of the answer sheet of CBSE Class 10 Social Science Board Topper 2018. This sheet has been released by CBSE to help students know the exam writing criteria followed by toppers. 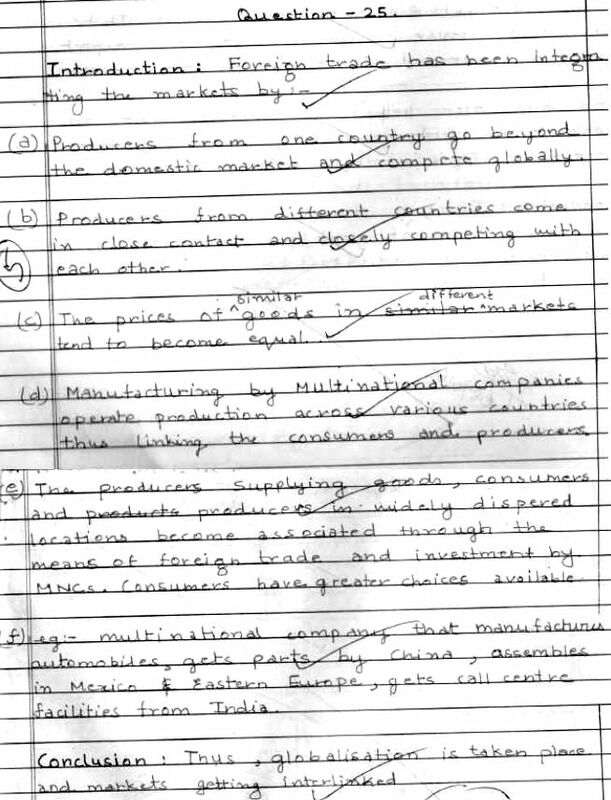 This answer sheet will showcase the strategy followed by the toppers in attempting the paper correctly to secure full marks. 1. Why were merchants from towns in Europe began to move countryside in seventeenth and eighteenth centuries? 13. 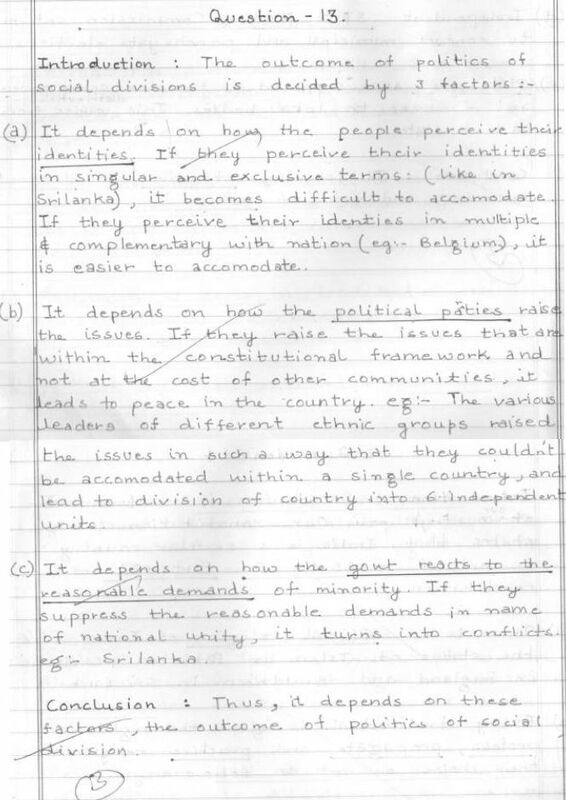 Explain the three factors that are crucial in deciding the outcome of politics of social divisions. 25. How has foreign trade been integrating markets of different countries? Explain with examples.